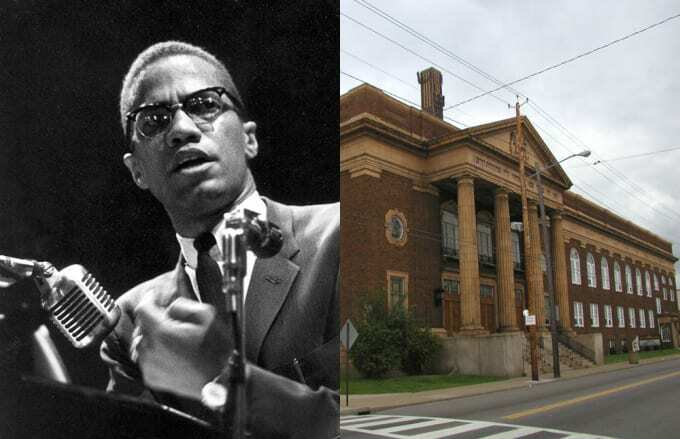 On April 3, 1964, roughly one month after his departure from the Nation of Islam, Malcolm X delivered his famed "The Ballot or the Bullet" speech at Cleveland's Cory United Methodist Church. Because of the split, X opened the speech by assuring the crowd that he was still a Muslim; still, he credited Elijah Muhammad with opening his eyes. With the Voting Rights Act of 1964 on the horizon, X called for blacks to exercise their right to vote during that election year. "The Ballot or the Bullet" emphasized voting's power by comparing it to a weapon. Still, the speech cautioned that voting alone would not bring about racial equality. The speech served as a turning point in X's life, signaling his break from the Nation and newfound appreciation for cooperation among civil rights leaders he had before kept his distance from. Cory United Methodist Church is still in operation today. One of the oldest African-American churches in Cleveland, it remains a pillar in the community, drawing an average of 200 attendees each Sunday.